We are delighted to welcome Margaret Creighton to Buffalo and the Larkin Square Author Series. 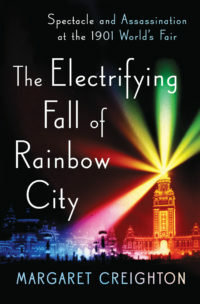 Margaret will be speaking on Monday, November 21st from 5:30 – 6:45 pm about her new book, The Electrifying Fall of Rainbow City: Spectacle and Assassination at the 1901 World’s Fair (W.W. Norton). Margaret will be joined on stage with Buffalo News writer Mark Sommer to talk about her book. Questions will be welcomed from the audience as well. Truth is often stranger than fiction and that is the case in Creighton’s book as she shares the story of the 1901 Pan American Exhibition and the many characters involved with it including Annie Edson Taylor, a sixty year old woman who rode over Niagara Falls in a barrel, “Chiquita,” a 2 foot tall beauty and Jumbo II, the largest elephant in captivity. She also writes about the case to build and put on the Fair by Buffalo businessmen and the pressure they fell under to boost attendance. Creighton also writes about the lead up to the assassination and death of William McKinley, including learning about his assassin Leon Czolgosz’s journey to Buffalo. Margaret Creighton spent her childhood years living in Buffalo. 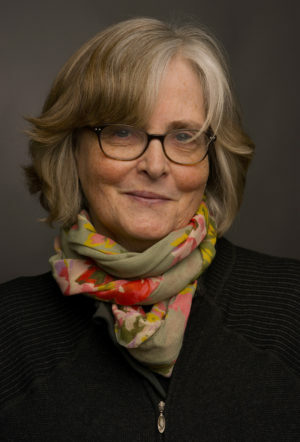 She is a professor of history at Bates College in Maine and the author of Colors of Courage, a runner up for the Lincoln Prize. Margaret was in Buffalo this fall touring sites from the Fair with New York Times writer Eve Kahn. Their touring was chronicled here in the NY Times. The Larkin Square Author Series is presented by KeyBank and Sponsored by Independent Health and Talking Leaves.. Beer, wine and light fare available for purchase. Books available for purchase at Talking Leaves and at the event. Book signing after the talk.